This past week saw the departure of longtime Dingo and proverbial cornerstone of the club, Craig Stewart, who made the difficult decision to move back home to Australia with his family after 15+ years in Canada. Stewy’s impact on the club both on and off the field cannot be understated. He leads the club in almost every category, including Games Played (181), Goals Scored (358), most Best & Fairest Awards (’03-’06, ’10-’11), most Goalkicking Awards (’03, ’06-’08, ’11-’12), as well as a two-time Club Person winner (’07, ’08) and the OAFL Best & Fairest winner in 2004. He was also a part of 4 Premiership winning teams and another two Grand Finals appearances, including this past season. Off the field, Stewy has been a crucial part of the Dingos stability and success in his time, fulfilling just about every role on the club at some point. An 8-time Captain (’03-’09, ’12) and 6-time President (’08-’13), Craig has been the driving force behind the Dingos evolution from a football team to a Sports & Social Club, complete with multiple social events throughout the calendar year made possible by Stewy’s tireless sponsorship work. 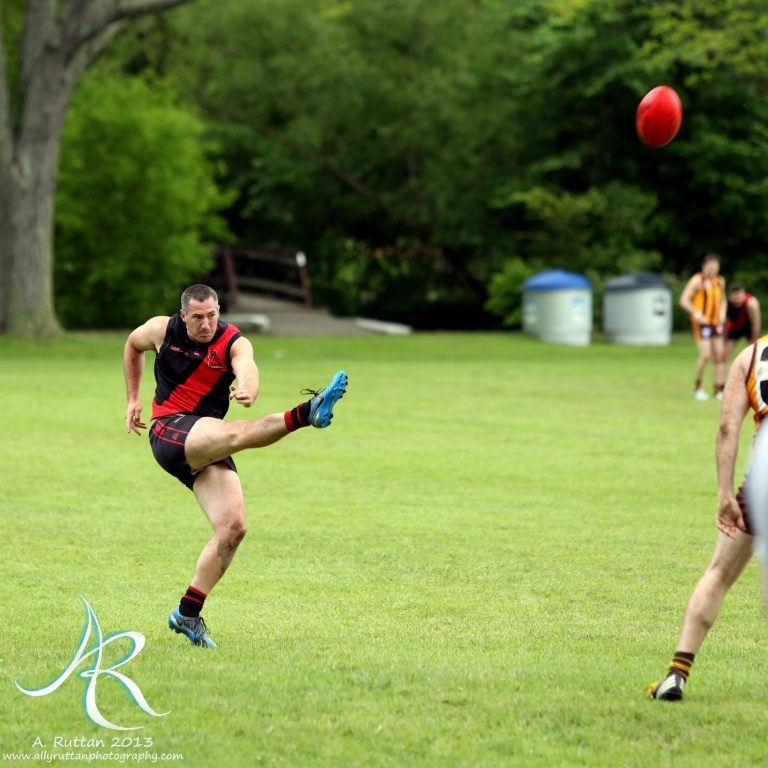 His accomplishments for both the Dingos and Ontario footy are almost too numerous to mention, but it’s on a personal level where Mr. Football’s true nature shines through. Always up for a drink at the pub, always available to talk footy, always ready to show off his snaps and bananas, Craig’s greatest impact is on the player level, forever wanting to spread the great game of footy to more Canadians. It is with a heavy heart that the Dingos say goodbye to Mr. Football, our longtime leader and greatest player. We wish him the best of luck as he and his family start a new chapter back home in Aus – though some of us may be secretly hoping it’s a short chapter, and that the next one sees himself, Pam, and the kids return to Canada and the Dingos.